Ask us how we make you better. 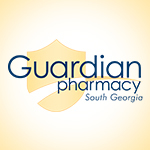 At Guardian Pharmacy of South Georgia we take great pride in providing the best in customer service. We are very passionate about making sure that each and every consumer gets excellent service every day. Our goal is to improve lives every single day. We are improving the lives of our patients by making sure they get the medicine they need on time and at the best price possible. We strive to improve the lives of the nurses and administrators that we service by providing friendly, accurate and timely service every day. We are more than happy to work directly with family members when they have questions about medications, costs, or insurance coverage for their loved one. We ensure that our staff has training on cutting edge technology and pharmaceutical issues. 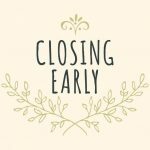 Guardian Pharmacy will be closing TODAY at 2:00PM on Friday, March 29, 2019 for quarterly inventory.